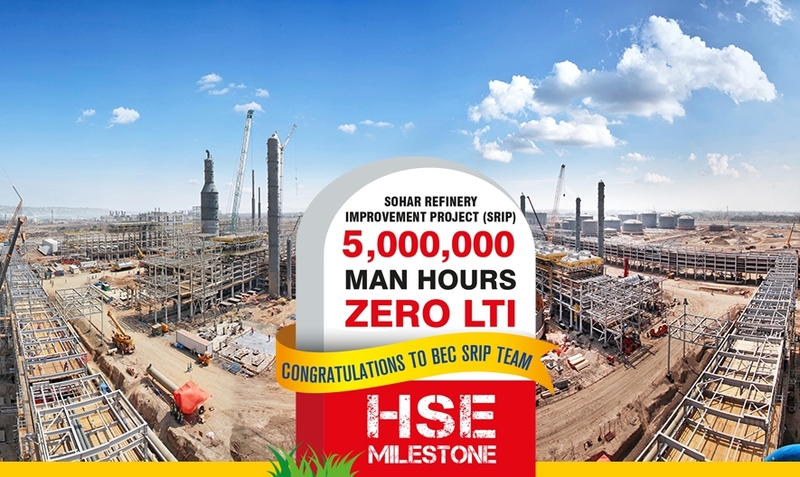 Building a Refinery is a serious profession and caring of the Health, Safety & Environment is a top priority in the execution to have a incident free man hours. TEAM SRIP has implemented lots of control measures to make sure that safety is the top priority and has a Moto “SAFETY OF A PERSON OVERRIDES ALL PRODECTION TARGETS"
STARRT (Safety Task Analysis Risk Reduction Talk). Individual Method Statement & JHA for every single Task. Rigging Plan for heavy & super heavy lifts. Management walks down for identification of hazards. Award and recognition for promoting safety awareness. Internal training and Third party competency training. Emergency evacuation and fire drills. On spot PEP Talks with workmen. Leadership talk for supervisors and above. Color coding & inspection of tools Quarterly.